Well so far in my short close to 5 years in SYC, I’ve gotten the chance to sing/support in many various events. There has been 2 weddings; 1 funeral; a Singapore Citizenship oath swearing ceremony; a Spanish Flamenco Mass; several church services in Europe; educated secondary school kids on music appreciation; exchanged songs with other choirs in dining halls; sang by the roadsides; sang while we waited for our food in restaurants… and many more. Well of course tonight we can add “sang with the Rolling Stones” to that list. (Y)! So why do I list all this out? Well there’s this general impression out there in Singapore (I feel) that choral music is kinda… detached. It’s something murky out there, only for the cultured or high browed to appreciate. Something “atas”. Something inaccessible or far away, beyond reach of the common folk. That, however, is simply not true. As seen in the many occasions that call for song, music is but just another expression of life. We sing when we are happy, we sing when we mourn. We sing when we are with others, and we sing when we are alone. We sing to commemorate, we sing to let loose, to enjoy life to ROCK IT OUT!! An expression of life, something that resonates deep within us, that all of us have a personal connection to. Of course when we sing about life, we inadvertently and unapologetically present various opinions and ideas, all at the wishes of the composers. Simply put, we are messengers. Opinions and ideas, as we all know, will sometimes be disagreeable. But this is where we learn how to agree to disagree, after all, in life you can’t always get what you want. So next time you hear a choir sing, don’t just dismiss it as abstract music. Examine it, embrace it, and see how it speaks to your soul. If it seems like nonsense, so be it. But hey, who said life was logical? Midst all the stuff and nonsense of our lives, let the song challenge you, and see how it might help you examine yourself deeper than you ever expect. 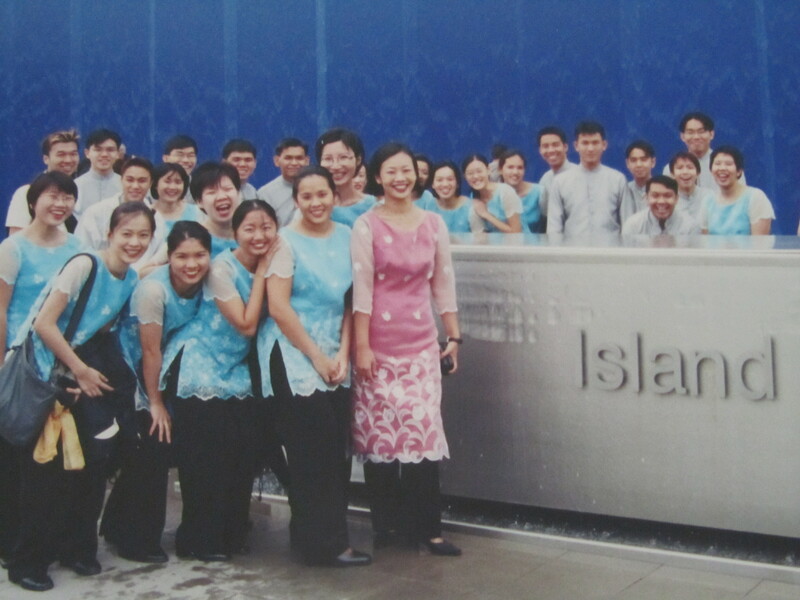 Having sung with the SYC Ensemble Singers back in 2005 during “Pedals & Pipes” as a member of TJChoir, as well as a number of co-productions and workshops with SYCES as part of the SMU Chamber Choir, joining them has always been a dream for me. Now, I have finally gotten about fulfilling it. January 2014 marks my 6th month with the SYCES, and what a journey it has been. The experiences I’ve had in this span of time has been everything I expected and much more – from helping out as part of the concert crew for the charmingly delightful “We Are Singapore”, to my first performance with Sir JoJo and SYCES in the magical “Pagdiriwang” concert. For this, I am truly thankful to the conductors and my fellow choristers for warmly inviting me into the family, and for continuing to make and share music that inspires. One does not simply make good choral music – it is through the passion, sacrifice, and tough training that something beautiful can be created. And as I remember and cherish the first half of “Year 1” with the SYC Ensemble Singers, it makes me honoured that I can spend that remaining half-a-year (and more) celebrating it with the rest of the choir, who are commemorating the 50th Anniversary of the formation of the SYC Ensemble Singers (then known as the Singapore Youth Choir). To all conductors, members, and supporters of the choir – both past and present, thank you for making this choir what is today ❤ I look forward to even more fulfilling and memorable experiences in the future. We are Singapore, We are Music Makers, We are Family. It has been many years since SYCES has had an overseas camp and this was our first. During the previous two years when we were in the choir, the camps were held locally and over a day. Moreover, this camp was going to be held over four days! Not knowing what to expect, we headed through the causeway with excited and slightly apprehensive hearts. Pulai Springs Resort, here we come! When we arrived at the resort, it felt pretty welcoming. After a pleasant lunch which relieved us of our hunger pangs, we headed to our practice room for ice-breakers. The grand-looking practice room where we spent most of our time over the next four days. First, we drew lots which had been printed with animal names and we had to look for our fellow group members, whilst being blindfolded, by calling out the sounds of that animal. It was fun yet slightly challenging because it was difficult to identify our fellow group members from the cacophony. Following that, we played more games where we learnt about the acceptance of failure, leading and following. Personally, as followers, we also learnt that if we have an opinion, it would not hurt to voice it out; we just have to be tactful while issuing them. As recipients of feedback, we have to be receptive and be conscious of our body language otherwise it may prevent others from being more forthcoming with their opinions. If the opinion is wrong or does not work, we should take initiative to seek for others’ advice and look for a solution that works for us. We were redivided into groups and it was then announced that we had to perform a skit in our respective groups with the theme, “We Are Singapore”. After dinner, we went back to the practice room where Jen and Woon recounted the history of the choral scene in Singapore, as well as that of the SYC Ensemble Singers. 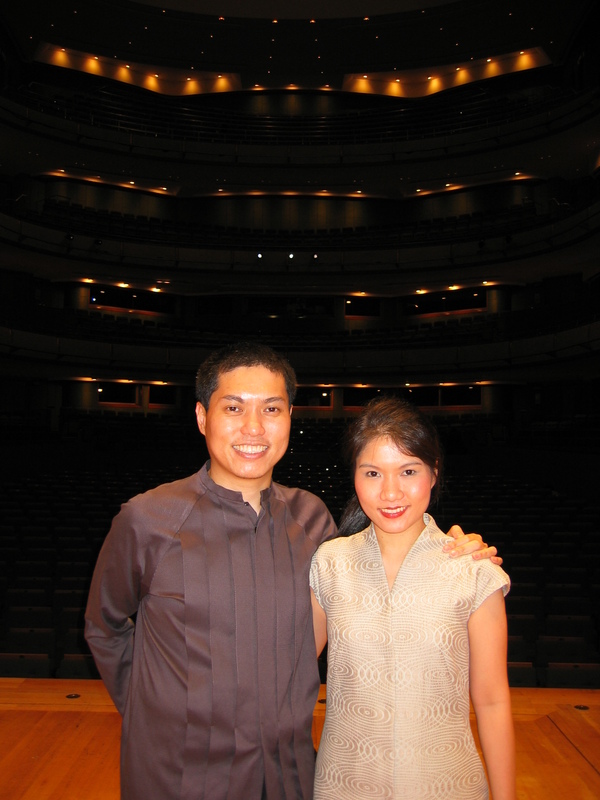 We learnt that former conductors of the choir included Benjamin Khoo, who was also the founding figure. Also, we were in awe when we heard the varied repertoire that the choir had sung over the years. More importantly, we could tell how committed the members were, simply from the voice recordings. These recordings spurred us to be more responsible singers and to have greater ownership of the music. Learning the choreography of the The Singapore Medley. Day two arrived quickly. We had a good morning work-out at the poolside, getting ready for our first rehearsal there. After breakfast, we headed for rehearsal for our coming concert (Have you bought your tickets?! :p). In the afternoon, we had several games where we discovered people who stepped up to lead, and also strengthened us as a team. It was evident that we left no man behind and worked together as one. Though not everyone was a natural leader, a follower was equally treasured. It was also heartening to realise that despite constantly being regrouped for the different games, no conflict arose and everyone worked harmoniously. Nonetheless, there were things to improve on, such as listening to instructions and executing them properly, and to be more caring towards one another. Soon, evening came and we continued with rehearsal, attempting to apply what we had learnt from our games to our role as choristers. We also played some games that helped us understand ourselves better with regards to our ability to focus and our spatial awareness as part of our warm ups. Carefully carrying the tin and balloons to the pail so that they would not drop. The next morning, we repeated the cycle of activities from the previous day. By the morning rehearsal, it was evident that we had learnt to be more active members of the choir, be it in terms of helping to listen out for others or improving on our own voices. In the afternoon we had more team building games, where we built up our communication skills and trust. We also learnt not to repeat mistakes. With that, we ended our three-day team building sessions and continued with practice at night. By the end of rehearsal, though there was (and is) still room for improvement on following and executing instructions, we did progress as a group. On the last day of the camp, it was time to showcase the hard work everyone had put in for our skits. Over the past four days, our respective groups had cracked our brains as we met up during allocated time slots as well as before and after rehearsals. Now, we were going to perform for everyone. The hour we spent was crazily entertaining; each group was simply witty, making use of the items that we had brought that reminded us of Singapore and inserting National Day songs wherever appropriate into the skit. Pictures speak more than a thousand words, so here are some that we have collated! Soon, it was time to leave. Though it was a short four days, the camp was an enriching one and we are really grateful for the experience. The absence of distraction during this period of time was truly a blessing. May we continue to apply what we have learnt from the camp in future practices and also in our personal lives! Our hearty meal before heading back for Singapore. 2012 marks my 20th years singing with the SYC ES. If my memory is correct, my 1st rehearsal was 7 Mar 1992. 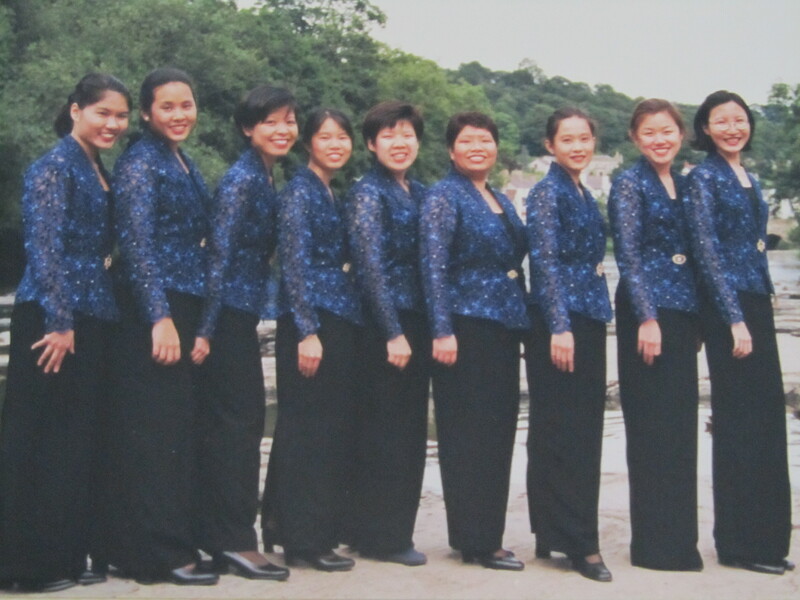 In this (long) 20 years, I have sung in almost every performances (except for the time when I was posted to Brazil for 3.5 months) and joined in every Choir tour. The journey of making good music is not always fun. There’s also the agony, frustration and confusion along the way. the sense of pride, accomplishment and achievement when the audiences show appreciation? the opportunities to work and sing with various Conductors, Composers and Musicians both locally and overseas? the joy of sending “hope, joy and love” with our voices? the eye-opening, great culture experiences, sharing and exchanges on each tour? the choir-mates whom I have developed great friendship with? Or maybe it was just FATED? No matter what the answer is, I am still here in this Choir and perhaps THE ONE that I would end my Choir life. I have learned and gained a lot for the uncountable thousands of hours I have spent in the past 20 years. I cherish and is grateful to all around me whom have been helping and giving me reasons to stay on with this Choir till this date. 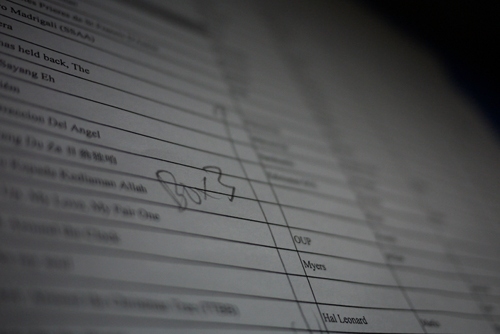 Like most people, I may not remember every single rehearsals, performances, tours and people whom I have met. But I will never forget that I was part of this remarkable Choir and perhaps in some small little ways, I have contributed (I hope!) in making some history with it. HOW MANY UNIFORMS HAVE I OWN? I know its cliché, but time flies. all the characters meet at the little yellow house! Last December, a fellow SYC member, Jia Ning, and I were making a book. I mean, literally. It was a book for Jen and Bert’s 20th (!!!!) SYC anniversary. In the book, I wrote of a little yellow house, which was very nicely illustrated by Jia Ning. 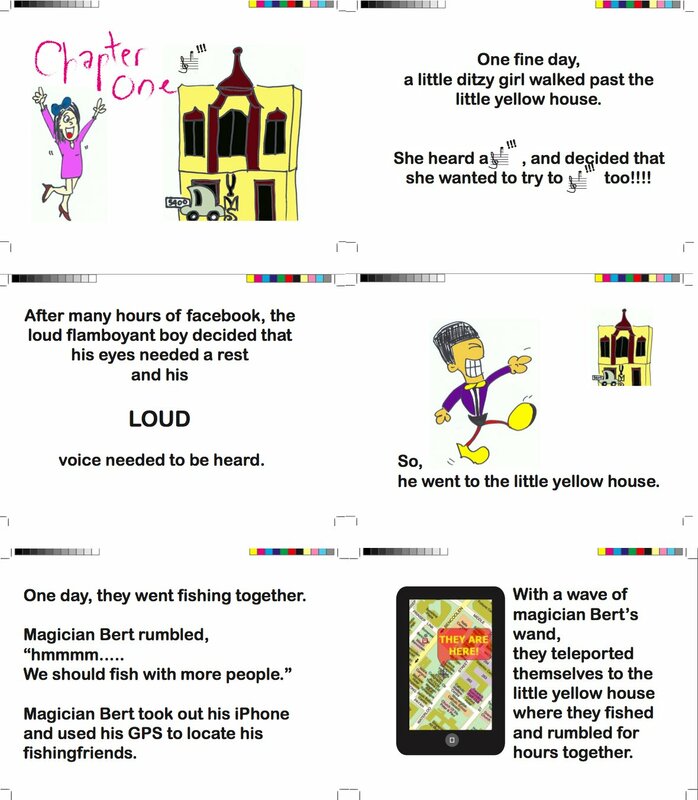 The story revolved around the little yellow house that was none other than our home, the YMS arts centre. And so, we started packing. It was difficult. I’m not sure about you, but when you’ve been around for a while, you tend to accumulate things. I’m always amazed at how our little library can store 600 score titles, recordings, photos that are truly “vintage” (and their Y2K-and-beyond digital counterparts), media clippings, 45 years of gifts from friends, travel memorabilia and shiny trophies and prizes. I’m pretty sure I left out something… but you get the idea. all these scores go into box 3... whaaat?! there's not enough space??! ... box 4 then!! I am not a sentimental person, but yet, when I looked at the little bubble-wrapped packages, I couldn’t help but wonder if the shiny things under the bubble wrap would ever see the light of day again. I hate uncertainty. I hate not knowing if the shiny things will have a space to tell their story to others, whether we will have yummy chicken rice for dinner opposite every Wednesday before rehearsal, whether we can hang around before and after choir, whether the scores would be protected from termites (! ), whether we would be as comfortable enough to run around barefooted as though it was our own home. Well, I can only continue wondering, and hopefully, the new year would bring SYC a nice new home. Wish us luck! Jennifer Tham shares her thoughts on the SYC and the things that matter. This is the 2nd segment of a 4-part interview. Watch this space! WEBISODE #2: Who is Jennifer Tham? 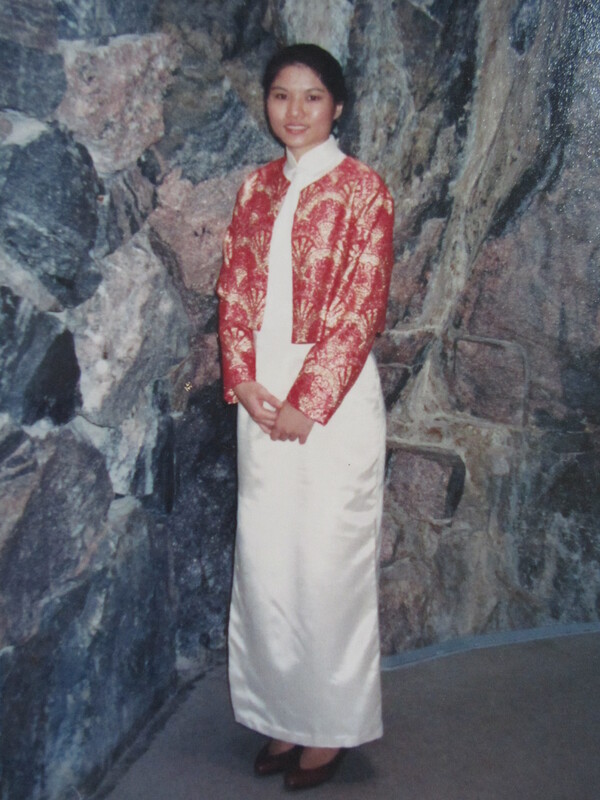 Jennifer Tham, SYC’s present and longest serving conductor, talks to us about her life and her loves. This is the 1st segment of a 4-part interview. Watch this space! About give2arts.sg --- The first of its kind in Asia, give2arts.sg allows donors to conveniently donate online via credit card to their preferred beneficiary or to a general arts and cultural development fund. 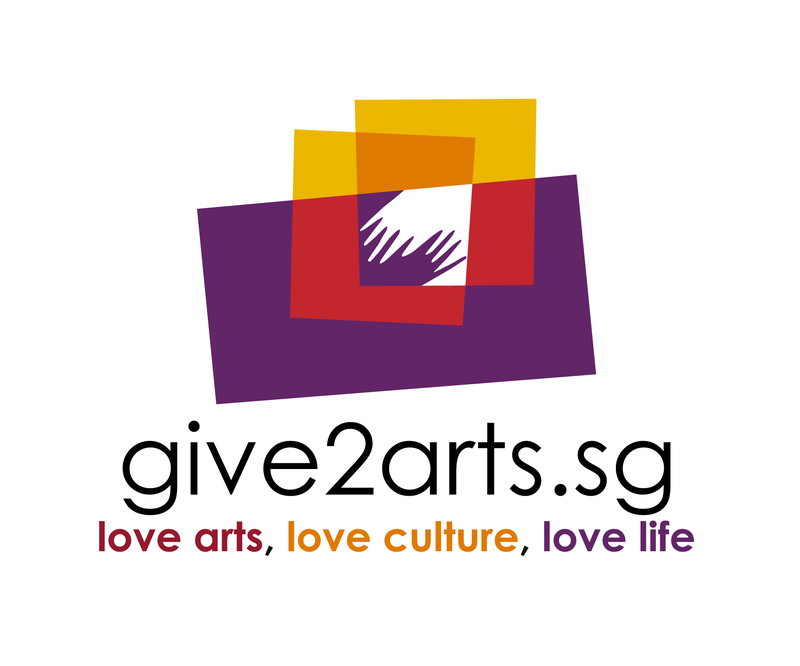 give2arts.sg also lists exciting cultural activities and lets volunteers sign-up for activities with arts and cultural organisations based on individual interests and skills.